The usual initial dose of CompridTMis 40 to 80 mg daily, gradually increased, if necessary up to 320 mg daily until adequate control is achieved. A single dose should not exceed 160 mg. When higher doses are required it should be taken twice daily, according to the main meals of the day. For extended release tablet the initial recommended dose is 30 mg daily, even in elderly patients (>65 years); the daily dose may vary from 30 to 120 mg taken orally, once daily. CompridTM XR should be taken with food because there is increased risk of hypoglycemia if a meal is taken late. It is recommended that the medication be taken at breakfast time. If a dose is forgotten, the dose taken on the next day should not be increased. Dose titration should be carried out in steps of 30 mg, according to the fasting blood glucose response. Each step should last for at least two weeks. CompridTM XR is an extended release tablet and therefore, should be neither broken nor chewed. 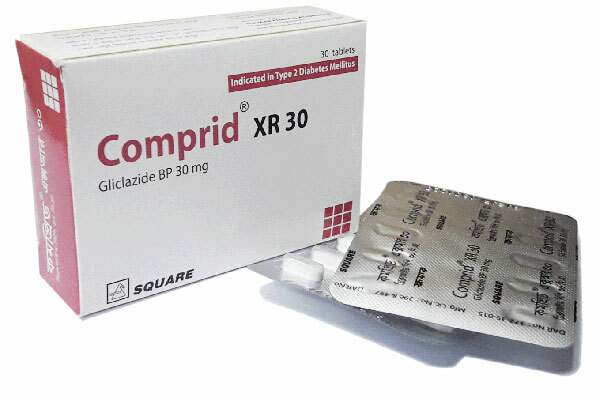 CompridTM XR 30, can replace Gliclazide 80 mg tablets, tablet for tablet, for doses of 1 to 4 tablets per day. Elderly: Plasma clearance of Gliclazide is not altered in the elderly and steady state plasma levels are similar to those in adults under 65 years. Clinical experience in the elderly shows that it is effective and well tolerated. Children: Gliclazide as with other sulfonylureas is not indicated for the treatment of juvenile onset diabetes mellitus. 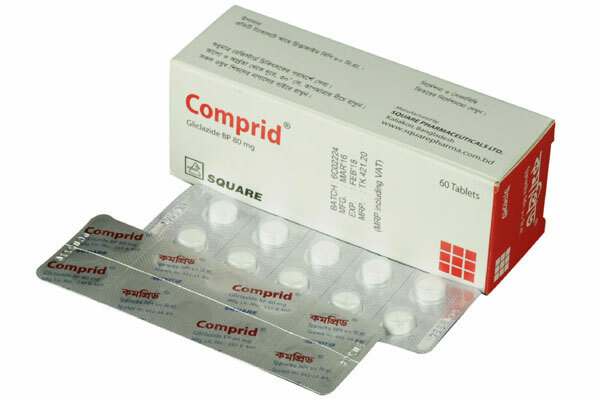 CompridTM tablet: Each box containing 60 tablets in blister pack. CompridTM XR 30 tablet: Each box containing 30 tablets in blister pack. 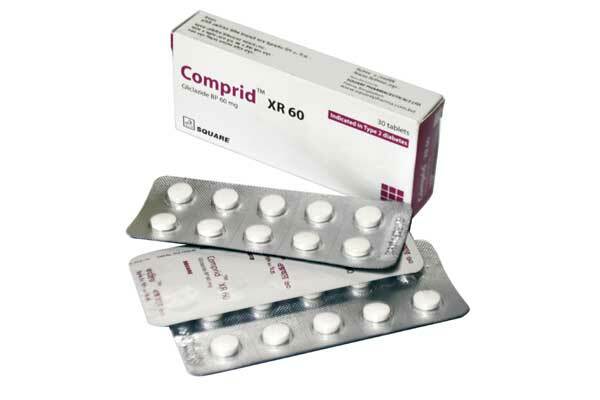 CompridTM XR 60 tablet: Each box containing 30 tablets in blister pack.